I Killed My Own Kid Prank – Not So Funny. 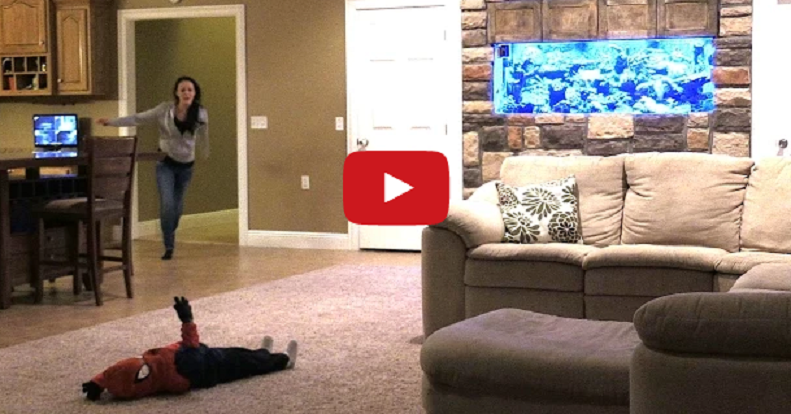 YouTube user RomanAtwood is full of pranks, and he’s at it again. But this time most people, especially his kids mom, did not think it was very funny. It all begins with him, his son, and a dummy dressed up like his son in a Spiderman outfit. Mom comes upstairs, sees her son dressed in the outfit, then goes back downstairs. When she leaves, they exchange his son for the dummy dressed up like Spiderman. He waits for the mom to come upstairs, then launches the dummy over the rail off of their second-story home. She screams frantically and runs downstairs just to find it was all a prank. Let’s just say he got cussed out to the max! Check Out This New Tattoo Trend – Would You Get One?